I was asked to create some GIFs for a new gorilla art project called The Hard G Project. The organizers gave me a couple of tablets to display the gifs on and I got to decide when, where, and how the art was hung. The idea was that we’d leave the tablets up, with my art animating, and they stay up until they are stolen or the batteries die. 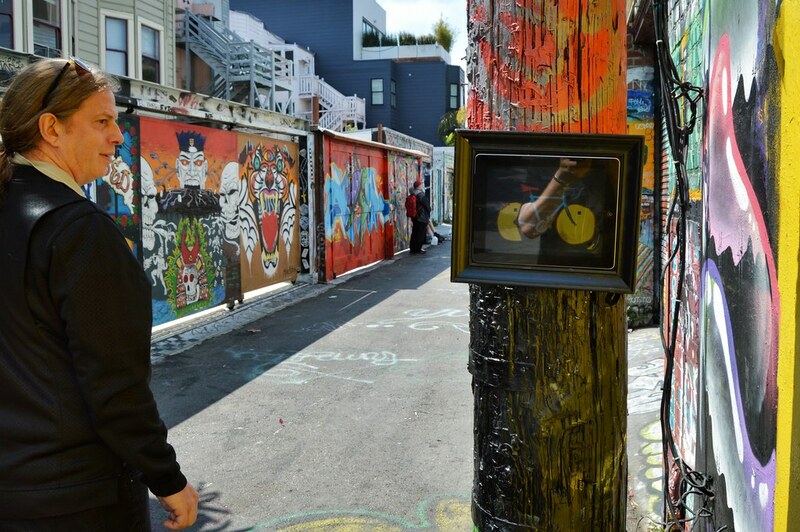 I hung one of my pieces on Clarion Alley and stuck around to watch a few people interact with it. 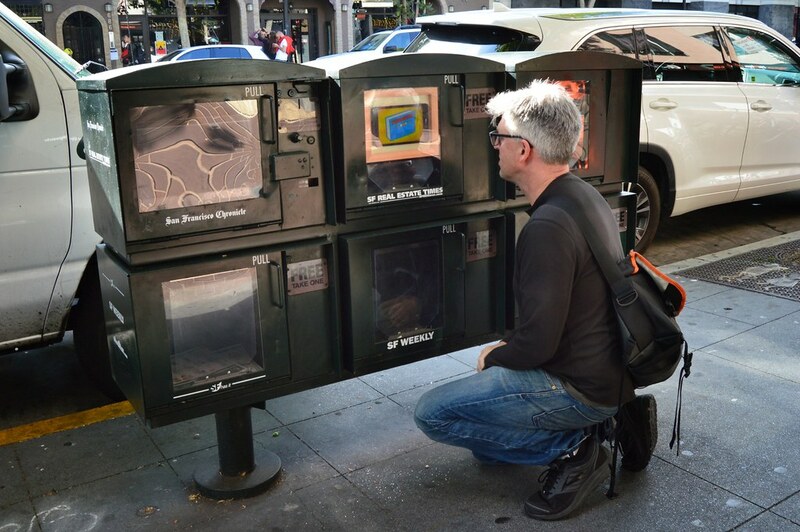 When I came back 4 or 5 hours later, I was surprised at what I found… the iPad had been switched to camera mode and a bunch of people took selfies from this odd little iPad hanging in an Alley.